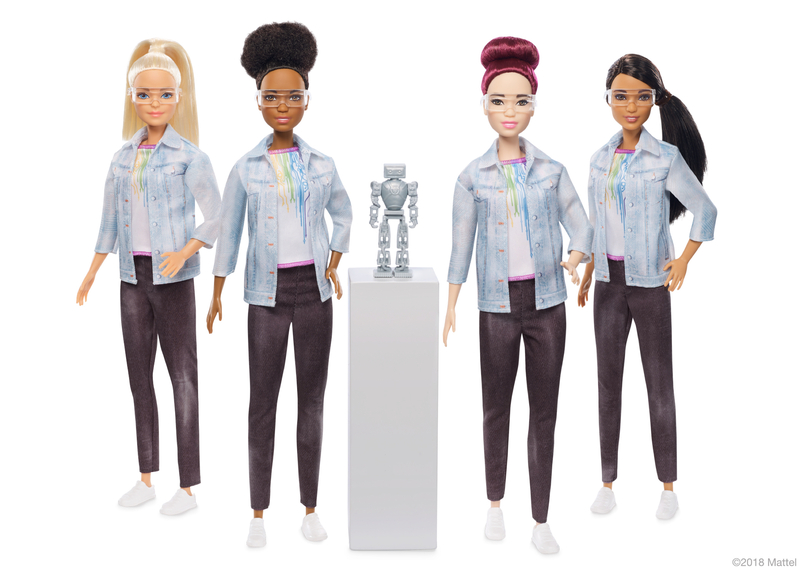 Today, the Barbie® brand launches Robotics Engineer Barbie, a doll designed to pique girls’ interest in STEM and shine a light on an underrepresented career field for women. This new doll joins a lineup of more than 200 careers held by Barbie, all of which reinforce the brand’s purpose to inspire the limitless potential in every girl. With only 24 percent of STEM jobs held by women*, the Barbie brand is not only encouraging girls to explore STEM through imaginative play with the doll, but also learn real coding skills. As part of a multi-year partnership with Tynker, the number one game-based platform that has helped more than 60 million kids learn to code, Mattel is launching six free Barbie-inspired coding experiences available starting today at tynker.com/BarbieYCBA. These lessons are designed to teach logic, problem-solving and the building blocks of coding while casting young learners in different roles alongside Barbie. By leveraging Mattel’s strong portfolio of brands, this ongoing collaboration reinforces Tynker’s mission of making coding and STEM education accessible and appealing to all students by meeting them where their interests lie and providing them with the foundational tools they need to learn to code. This is not the first time Barbie has explored STEM – since 1959, Barbie has held STEM roles including astronaut, scientist, video game developer and computer engineer. The brand also partners with experts in the field to ensure these dolls are an authentic representation of the profession and coding skills. Partnering with Black Girls CODE – providing a grant of support to Black Girls CODE and gifting dolls at robotics workshops to reach young girls interested in developing skills in the field. Debuting more Tynker coding content – continuing its multi-year partnership with Tynker to introduce seven lessons throughout the year and again timed to Hour of Code in December. Releasing a Coding e-book – in collaboration with Information Science Professor and Coder Casey Fiesler, PhD, Barbie is releasing Code Camp for Barbie and Friends. The e-book is a kid-friendly introduction to the concepts of code and will be available for sale on Amazon.com. The launch of Robotics Engineer Barbie is another example of how the Barbie brand is dedicated to highlighting #MoreRoleModels to show girls they can be anything. A new video, launching today, highlights career fields underrepresented by women with a call-to-action to inspire the next generation of girls. Robotics Engineer Barbie is available today in four skin tones for $13.99 on Barbie.com and Amazon.com. For more information on Tynker and the larger program, please visit barbie.com/coding. *Economics and Statistics Administration, U.S. Department of Commerce.